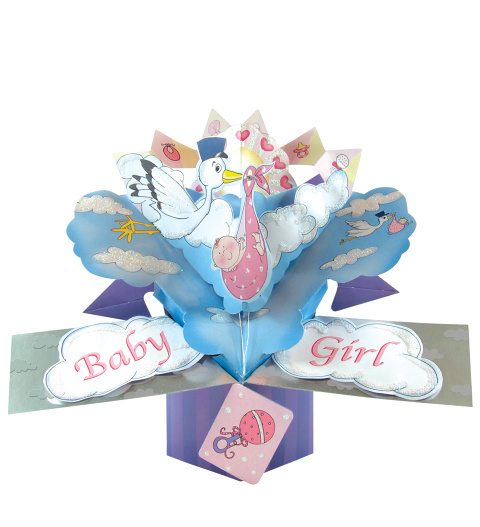 Welcome a new baby girl with this delightful 3D pop card. Add to a special gift or send all on its own with a meaningful message inside. Even once baby grows up, this card will be something she will always have.